The Gita Press is synonymous with Hindu religious texts: its cheap editions of the Bhagwad Gita, and equally its Hanuman Chalisa, have reinforced the piety of devout Hindus. Many use them in daily prayers or to seek religious wisdom. The press also publishes Kalyan, a magazine on spiritual matters. Through such means, the Gita Press, based in Gorakhpur and founded in 1923, has influenced the minds of Hindus of a certain bent – orthodox, believing in the varna system, and with strong notions of ideas such as Hindu purity and Hindu pride. Gorakhpur is also the stronghold of Uttar Pradesh chief minister Yogi Adityanath, who is the mahant of the Gorakhnath math and temple of the Nath sect, and a proponent of a hardline Hindutva. The math and the press have influenced, to an extent, the outlook of the Hindu majority that shaped the BJP’s peculiar form of Hindutva and brought the party to power at the centre and in UP. It is in this light that we take another look at the Gita Press. 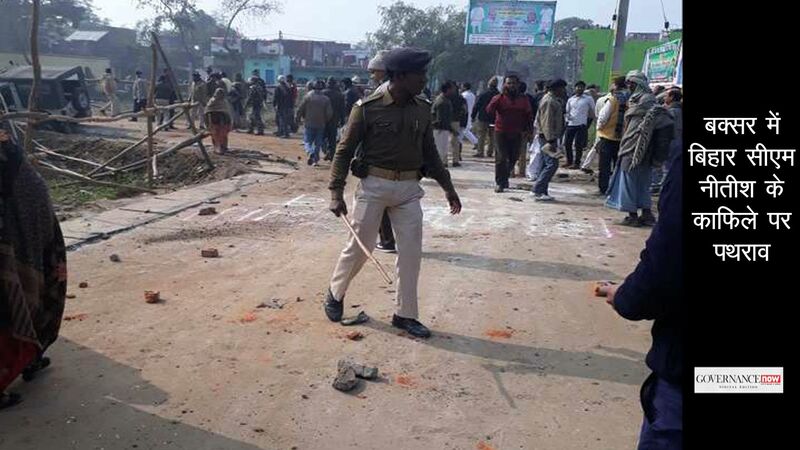 The signs of the regime change – and a rising majoritarian sentiment – are already in evidence on the streets of Gorakhpur. When I ask a cycle-rickshawala to take me to the Miyaan Bazaar area, where the Gita Press is located, he won’t go. Another rickshawala, who’s wearing a skullcap, shouts out to me that I should ask the fellow to take me to Maya Bazaar instead. Miyaan Bazaar; Maya Bazaar. One place; two names. Miyaan Bazaar was what it has been known as for decades; Maya Bazaar is what people say Yogi Adityanath has decreed it should be known as. Five times the Yogi has been elected MP from Gorakhpur. Everyone knows of his darbars at the math, at which he settles disputes, gets government work done for petitioners by putting in a word or sending a personal request – and, it seems, even decides unofficially what people should call places in the town. “We call it Maya Bazaar, they call it Miyaan Bazaar. The place is the same...hardly matters,” says Devidayal Agarwal, a trustee of the Gita Press, glossing over the matter. His father, Baijnath Agarwal, too is a trustee of the press, a unit of the Gobind Bhawan Karyalaya. Since inception, the press gained popularity through its Hindi translation of the Bhagwad Gita, sold cheap as gutka (or pocket) editions. Translations in English and 15 other languages came later. Besides the Gita, the most popular publications from the press are the Hanuman Chalisa and Tulsidas’s Ramcharita Manas. Sales over the years have crossed more than 650 million books. 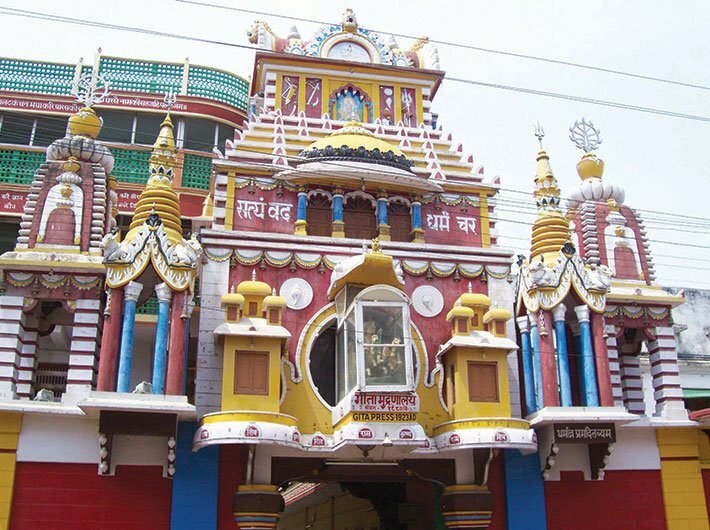 The Gita Press building looks more like a painted temple, with vimanas, kalashes, and paired shikhars. Though made of brick and cement, it looks as if it were made of wood lacquered thick in deep maroon, white, ochre and some blue. There are images of Hindu gods and goddesses. Around the building are small shops selling material used for puja. There is a shopping complex adjacent to the building, where there are some bookstores and shops selling khadi. The press itself has a big shop selling its publications. Security at the press is high. There were almost half a dozen uniformed and un-uniformed guards at the entrance who ensure that no one enters without clearance. Vehicles are thoroughly checked too. CCTV cameras have been installed and manager LM Tiwari keeps an eye on the monitors in his office. For years, Ramdhun has been played all day at the building. Earlier, a group of singers would sit on the terrace and the sound would waft throughout the building. These days, though, the sound is from an audio system. “It cleanses the soul. It’s a universal truth that if you hear Ramnaam continuously, it opens the doors of heaven to you,” says Devidayal Agarwal, who has an air-conditioned cabin on the premises. Rest of the rooms make do with fans, some even without that. The Gita Press was founded by Hanuman Prasad Poddar, Jaya Dayal Goyandka and Ghanshyam Das Jalan for promoting the principles of Sanatana Dharma. The aim of the nonprofit organisation was to make available Hindu holy texts on a large scale, in India and abroad, and at prices the man on the street could afford. The translations are simple; some would say simplistic. But that is probably the reason they have been lapped up in the millions. Trustees show the same confidence in Yogi Adityanath as chief minister: they feel his spiritual background, his Gorakhpur connection, and ascetic lifestyle will help inculcate moral and cultural values among youth. “It is lamentable that the current generation lacks insight about our ancient culture and religion,” says Baijnath Agarwal. A keen eye on business, he says, the yogi’s influence would also translate into more demand for books such as those published by the Gita Press. In 2015, the Gita Press was in the news because of a month-long strike. Workers complained of poor wages, poor work conditions and misbehaviour by the managment. The strike began when 12 staffers were suspended and the contracts of some workers were suspended for alleged indiscipline and assaulting a supervisor. “The workers demanded revocation of the suspensions and terminations,” says Manoj Kumar, a senior journalist and social activist, among the first to report on the strike. When meetings between the staff and management failed to resolve the issue, there was mud-slinging from both sides. The management claimed that some anti-national, anti-Hindu forces were out to destroy the legacy of the press and had provoked the workers. The workers, on the other hand, said they were subjected to extreme humiliation. There was bad press, and Yogi Adityanath is said to have intervened to settle matters between the authorities and the workers. 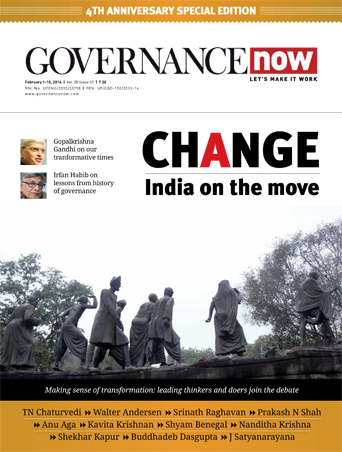 “Now there are no labour issues, and the 400-odd employees, including 200 permanent staffers, are working in harmony,” says Radheshyam Khemka, editor of Kalyan and one of the trustees of the press. “Some people had issues related to permanency of their jobs and wages but all that has been resolved.” He says the workers are all back, happy to work. That may be true. But former employees have a different story to tell. Says Arvind Kumar Gupta, who quit after working at the press for a decade, “I left because life was pathetic with the wages I got. The work atmosphere was bad and the management use to make us sit home six-seven days a month. We have schoolgoing kids, we have medical bills, we need to eat. Is it possible to manage all that in the Rs 300-400 I earn per day when they let me work for only 20-24 days a month?” Gupta now runs a small fast-food business from his home in old Gorakhpur. An elderly worker who was mixing colours for the latest edition of Kalyan says, “I’ve worked for God for almost 40 years, but by the tenth of every month, I am living hand to mouth.” He’s officially a book-binder, and is classified as a semi-skilled worker despite the years he has put in. No, he wouldn’t want his children to join the press. The trustees’ children, however, readily join the press. As trustees, or in senior positions. One of the biggest draws to the Gita Press is the Leela Chitra Mandir, a museum of some 2,300 handmade paintings depicting mainly the life of Lord Ram and Lord Krishna. It was inaugurated by Dr Rajendra Prasad, the first president of India. The paintings, all made using natural colours, are apparently the vision of Hanuman Prasad Poddar, known as ‘Bhaiji’. It is said that Poddar, who used to write in Kalyan under the pen-name Shiv, would meet gods in his dreams. The press had three artists during his time, and he would describe his vision in detail to them. They would prepare sketches based on what he said, and the one he thought most resembled his dream would be turned into a final painting. “All the faces of the gods and goddesses you see in the books of the Gita Press are the vision of Bhaiji,” says LM Tiwari, who works at the museum. The paintings are displayed on the pillars holding up the mammoth roof of the museum. Some are displayed in columns, some in rows, some on tables, and some in frames. One of the unusual paintings is called ‘Vriksha Latadi Mein Vanvaasi Shriram’. At first sight, there’s a tree covered with vines; after searching a bit, one might find a hidden image of Lord Ram. “It takes five-six seconds to find the image, but most people fail the test,” says the man who is taking me around. Many of the paintings have a story to tell or evoke some humour. For instance, ‘Prem Unmad’ shows Yashoda tying a cow for milking. But she’s so transfixed by the sight of a baby Krishna that she’s actually tethering a bull instead of a cow. Other paintings are meant evoke piety or inspire. Recently, the paintings have been digitised. Another sign of modernisation at the press is that it has obtained an imported printing and binding machine costing Rs 11 crore. “We have to upgrade ourselves with technology,” says Tiwari. Many people, including those in Gorakhpur, are of the belief that the mindset hasn’t really changed. An undercurrent of the casteism that marks out orthodox Hinduism runs through the Gita Press too. “The same was the ideology of Jaya Dayal Goyandka and Hanuman Prasad Poddar,” says Manoj Kumar. “They were against Gandhi and Ambedkar’s efforts to uplift dalits. They were against the upper castes dining with dalits and letting dalits enter Hindu temples.” At the press, however, a letter from Mahatma Gandhi praising its efforts is proudly displayed to visitors. Asked if he is for the education of women, Baijnath Agarwal says he doesn’t support the present education system ­­– whether for boys or for girls. “Education today is only geared towards making people capable of earning. But it lacks moral and spiritual values,” he says. So what does he prescribe?